Good morning folks! This past week there were a number of notable decisions, but we want to highlight a couple of discovery decisions. In OSF Healthcare Sys. v. Sivyer Steel CorporationHealth Care Plan, No. 1:14CV01102, 2015 WL 4778352 (C.D. Ill. Aug. 13, 2015), a matter involving a provider dispute with a health plan, the plaintiff argued that the contents of an email demonstrated that the Plan considered impermissible factors when deciding how and to what extent to pay on the claim in question, and based on this email, the plaintiff should at least be allowed discovery to explore the issue further. The court agreed that the email included an overt reference to paying as little as possible without too many “cons” and this conduct is precisely why limited discovery is allowed in these cases. But, in Lockard v. Unum Life Ins. Co. of Am., No. 3:15-CV-21, 2015 WL 4730089 (N.D.W. Va. Aug. 10, 2015), a matter challenging the denial of long-term disability benefits, Plaintiff sought leave to take depositions and to serve the Defendant with interrogatories and requests for production of documents, for the limited purpose of determining the existence and extent of any conflict of interest on Unum’s part. The court denied the motion because Plaintiff did not identify any facts that serve to indicate that Unum’s decision to deny disability benefits was improperly affected by Unum’s conflict of interest. Where in MetLife v. Glenn does the U.S. Supreme Court say that an ERISA plaintiff, challenging a benefit determination of a conflicted fiduciary, must first demonstrate the infiltration of conflict before she can discover whether there is more evidence of conflict? The answer: nowhere! So why do the majority of court’s require a preliminary showing of actual conflict before a plaintiff is authorized to conduct conflict-of-interest discovery? While you ponder that question, enjoy this week’s case summaries! No successor liability for delinquent health insurance premiums against company that merely continued business operations of former employer. In Nutt v. Kees, No. 14-3364, __F.3d___, 2015 WL 4746127 (8th Cir. Aug. 12, 2015), the Eighth Circuit reversed the district court’s decision to hold the current employer liable for delinquent contributions, breach of fiduciary duty, and interference with protected rights under the doctrine of successor liability. In this case, Plaintiffs were saddled with $233,000 in medical bills as a result of their employer failing to remit withheld funds from their paycheck to the health insurer. The employer, Osceola Healthcare, PLLC, sold the company to Jim Cooper and his company, Berryville Properties, LLC, which took title to the real property and assets when the sale closed. 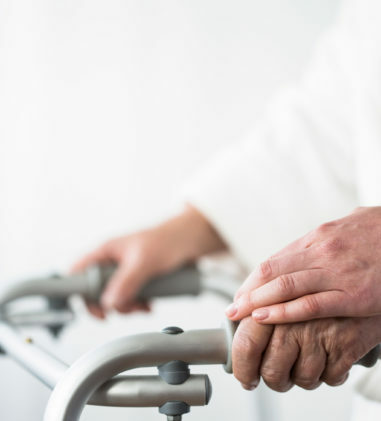 During the temporary lease period, Cooper assigned the lease to Osceola Therapy & Living Center (OTLC), a nursing-home operation company created by an individual that was independent from Cooper and Berryville Properties. OTLC is an independent entity that leased the property and assets by way of an assignment from the facility’s actual purchasers. Because the defendants could not satisfy the judgment against them, the district court held OTLC liable. 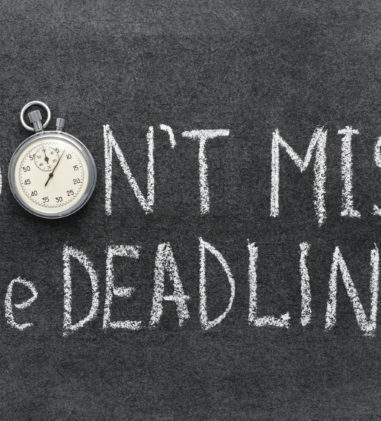 The Eighth Circuit noted that it has not yet determined whether to apply the federal common law doctrine of successor liability in the ERISA context. It further noted that it need not decide this issue in the present case because even if it assumes that successor liability applies in the ERISA context, the court concluded that the district court clearly erred in its factual findings and improperly weighed the equities when it held OTLC liable as the successor of the Osceola defendants. Specifically, the district court clearly erred by characterizing OTLC as a purchaser because OTLC did not buy the nursing home. The district court abused its discretion when it characterized OTLC as the purchaser with the ability to take the potential liability to plaintiffs into account in negotiating the final acquisition price set at the closing. OTLC was not a party to the unlawful practices of Kees and the Osceola defendants, and OTLC operated the nursing home without any significant connection to these culpable parties. Mere continuation of business operations does not create liability. In Rhea v. Alan Ritchey, Inc., No. 4:13-CV-00506, 2015 WL 4776115 (E.D. Tex. Aug. 12, 2015), the court previously granted Defendant’s counterclaim against Plaintiff for $71,644.77 based on the Welfare Plan’s right to collect third party settlement funds. The Plan sought payment of fees and costs in the sum of $31,415.50 based on the Plan’s right to recovery of attorneys’ fees. The court granted Defendant’s motion after consideration of all the relevant factors. In Betts v. Benefit Solutions, Inc., No. CIV.A. 3:13-11772, 2015 WL 4772568 (S.D.W. Va. Aug. 12, 2015), Plaintiffs brought suit against Defendants for breach of fiduciary duties for allegedly causing Retirement Plan assets to be off the market for two weeks. Defendants filed a third-party complaint against Hartford seeking indemnity and contribution. Hartford filed a motion for summary judgment, which the court granted. The court found that assuming Defendants are liable to Plaintiffs, Defendants did not identify any direct act or omission on the part of Hartford to justify the delays in the liquidation, transfer, or reinvestment of Plan funds. 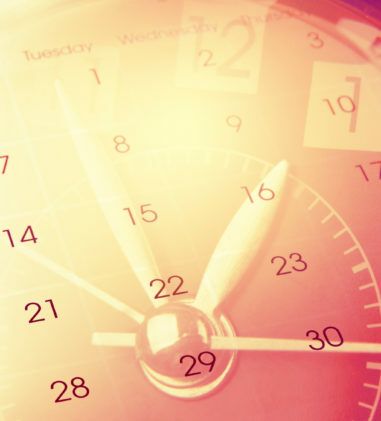 The only faults to be found related to delays in the liquidation, transfer, or reinvestment of Plan funds are the result of Defendants’ independent acts and omissions. Hartford had no express or implied obligation to adequately direct Defendants’ actions. Further, to the extent that Hartford may have assumed a coordinating role, the court found that Hartford made every reasonable effort to prompt Defendants to fulfill their obligations. Even if some fault may be attributed to Hartford, Defendants were not without fault. As a matter of law, Defendants are not entitled to implied indemnification from Hartford. In Lee v. Verizon Commc’ns, Inc., No. 14-10553, __Fed.Appx.___, 2015 WL 4880972 (5th Cir. Aug. 17, 2015), Plaintiffs, representing two certified classes, alleged violations under ERISA by the pension plan sponsors and administrators as a result of a plan amendment and subsequent annuity purchase in December of 2012. 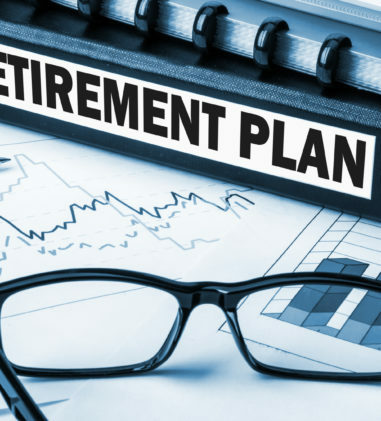 The certified classes include the Transferee Class, comprising Plan participants whose retirement-benefit obligations were transferred to the annuity, and the Non-Transferee Class, whose retirement-benefit obligations remained with the Plan. 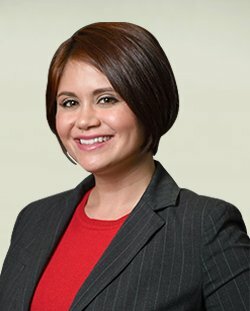 The court affirmed the district court’s dismissal of the claims of the Transferee Class for failure to state a claim under Federal Rule of Civil Procedure 12(b)(6), as well as the dismissal of the sole claim of the Non-Transferee Class under Rule 12(b)(1) for lack of constitutional standing. In Amos v. PPG Indus., Inc., No. 2:05-CV-70, 2015 WL 4881459 (S.D. Ohio Aug. 13, 2015), the court finally approved the following class action settlement involving a challenge to Defendant’s unilateral modification of collectively-bargained retiree health benefits. The Settlement Agreement provides Plaintiffs and their spouses and dependents with post-retirement health benefits through December 31, 2025, the amount and form of which differs based on the Medicare eligibility of the settlement class members. Non-Medicare Eligible Settlement Class Members – Axiall Corporation will continue to provide its benefits plan for non-Medicare eligible Settlement Class members through December 31,2015. From January 1, 2016 through December 31, 2025, Axiall Corporation will continue to provide each non-Medicare eligible member with a monthly credit of $495 to be used for reimbursement for qualified medical expenses. When these members become Medicare eligible, they may receive the benefits provided to Medicare-eligible Settlement Class members as described below. Medicare-Eligible Settlement Class Members – Axiall Corporation will continue to provide a monthly credit of $100 to Medicare-eligible Settlement Class members through December 31, 2015. From January 1, 2016 through December 31, 2025, Axiall Corporation will provide each Medicare-eligible member with a monthly credit of $100 to be used for reimbursement for qualified medical expenses. Additionally, Axiall Corporation will provide each member with a one-time lump sum subsidy credit of $325. The Settlement Agreement also provided for $200,000 in attorneys’ fees. The court found this reasonable given that the total lodestar was $257,942.75. 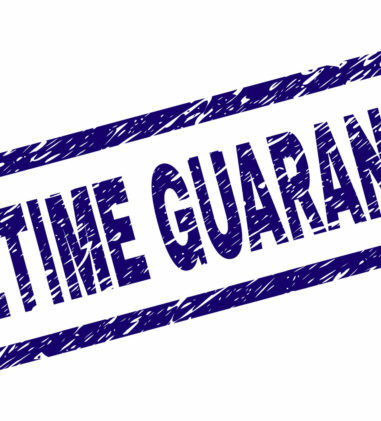 Hourly rates of the attorneys ranged from $240/hour to $625/hour. In Lanpher v. Metro. Life Ins. Co., No. CIV. 12-2561 JRT/JSM, 2015 WL 4920042 (D. Minn. Aug. 18, 2015), Plaintiff prevailed on his claim for benefits and breach of fiduciary duty claim against MetLife for Supplemental Long Term Disability Benefits, where MetLife approved his application for the benefits but did not communicate the approval to the employer, who in t turn did not deduct the required insurance premiums from Plaintiff’s paychecks. The court granted Plaintiff’s motion for partial summary judgment against MetLife and ordered the parties to ascertain whether any disputes exist regarding the appropriate amount of damages, and to submit letter briefs if a dispute exists. Based on its resolution of the submissions, the court granted damages to Plaintiff in the amount of $394,033.95, which constitutes: $75,000 in attorney’s fees; supplemental earnings that do not include stock-based compensation; and prejudgment interest using an interest rate calculation that comports with Section 1961 in effect one week prior to the court’s order. In McKenna v. Aetna Life Ins. Co., __Fed.Appx.___, No. 14-2445, 2015 WL 4880042 (6th Cir. 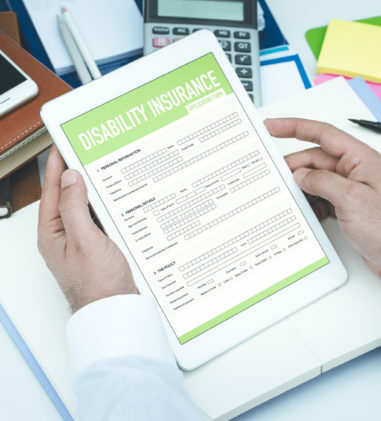 Aug. 14, 2015), the Sixth Circuit reversed the judgment of the district court which affirmed Aetna’s denial of Plaintiff’s claim for long-term disability benefits. Plaintiff suffered from significant degenerative disc disease and Aetna paid and approved benefits for five months. Aetna’s denial relied on the conclusions of Aetna’s file reviewer, Dr. Stuart Rubin, a physician board certified in Physical Medicine and Rehabilitation and Pain Management. Upon de novo review, the court gave little weight to Dr. Rubin’s conclusion that Plaintiff could return to work because he failed to explain the basis for his opinion that Plaintiff’s condition and symptoms-which he agreed both prevented her from performing the material duties of her occupation and had exhibited a chronic pattern-would continue only through an estimated “recovery date.” The record contained sufficient evidence that Plaintiff’s disability continued beyond the expected initial recovery date. The court explained that although it is the claimant’s burden to prove that she was entitled to LTD benefits, Aetna failed to explain how one office note documenting a steady and even gait and decreased pain level overcomes the remaining evidence and the treating physician’s opinion, indicating that Plaintiff remained disabled beyond that date. The court remanded to Aetna to determine the scope of Plaintiff’s entitlement to benefits beyond the termination date of February 23, 2013. In Jansen v. Lincoln Fin. Grp., No. 4:13-CV-04068-RAL, 2015 WL 4879295 (D.S.D. Aug. 14, 2015), the court found that Lincoln Financial did not abuse its discretion in denying “any occupation” long-term disability benefits to Plaintiff, who alleged disability from a combination of heart problems and mental illness. Lincoln relied on medical reviews obtained from cardiologist Dr. Darius Marhamati, internist Dr. Mark Rosen, and psychiatrist Dr. Chris Esguerra. In Weston v. Aetna Life Ins. Co., No. CV 14-100-BLG-SPW, 2015 WL 4876829 (D. Mont. Aug. 13, 2015) (Not Reported in F.Supp.3d), the court found that Aetna did not abuse its discretion in terminating Plaintiff’s LTD benefits. Plaintiff was diagnosed and impaired by fibromyalgia, cervical disc disease, facet arthropathy, arthritis, and pseudoseizures. Aetna terminated Plaintiff’s LTD claim and she appealed. On appeal, Aetna had Plaintiff’s claim reviewed by Dr. Priya Swamy, a pain management specialist, who concluded that Plaintiff could perform sedentary or light duty work. The court found that there is no evidence that Aetna’s conflict of interest improperly influenced Aetna’s decision, that there is no evidence that Aetna has a history of biased claims administration, that there is no evidence that Aetna provided inconsistent reasons for denial, and that there is no evidence that Aetna acted with malice. As such, the court found that the conflict-of-interest factor is of minimal significance. 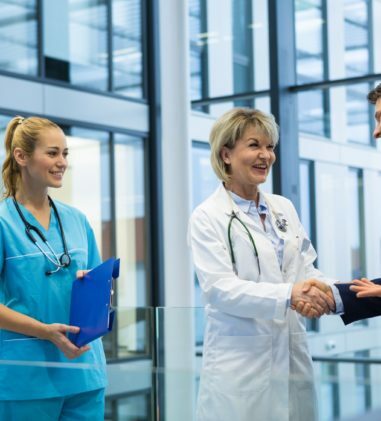 The court found that Plaintiff’s records failed to supply evidence of restrictions and limitations stemming from Plaintiff’s medical conditions that prevent her from working. Second, Aetna’s failure to conduct an in-person medical evaluation is insufficient to establish an abuse of Aetna’s discretion. 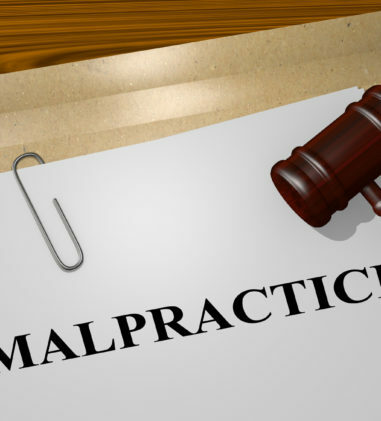 Third, Aetna and its independent expert did have all of the relevant evidence and Aetna’s expert physician’s inability to reach Plaintiff’s treating doctor for a peer-to-peer consultation does not support Plaintiff’s position that Aetna abused its discretion. Finally, the court found that Aetna gave Plaintiff’s SSDI award appropriate consideration. In Melech v. Life Ins. Co. of N. Am., No. CIV.A. 10-00573-KD-M, 2015 WL 4744356 (S.D. Ala. Aug. 11, 2015), on remand from the Eleventh Circuit, the district court granted summary judgment in favor of LINA on Plaintiff’s claim for LTD benefits. The court explained that on remand LINA was to consider the evidence in the SSA file and the administrative record from the original decision. The court disagreed with Plaintiff that LINA failed to provide a full and fair review on remand because it did not consider all the evidence reasonably available including the original claim file, Plaintiff’s Declaration/affidavit from 2012, and “all other documents exchanged with LINA’s lawyers throughout this case either in correspondence or in pleadings over the Court’s ECF system.” The court also rejected Plaintiff’s assertion that her claim was denied on a new basis, that she was unable to perform her Regular Occupation from May to June 2007 but did not meet the 26-week Elimination Period, instead of a denial based on lack of objective evidence to support her doctor’s opinion of total disability as found in LINA’s original claim denial decision. Giving deference to LINA’s decision-making and consideration of conflict of interest as a factor in deciding whether the decision was arbitrary and capricious, the court found that LINA’s decision to deny benefits was reasonable based on the record before it, and not arbitrary or capricious. Lastly, the court granted Defendants’ motion to strike Plaintiff’s Exhibit 2, the Hertz Company Overview downloaded from the Hertz website, Plaintiff’s Exhibit 7, her Declaration/affidavit signed in 2012 and previously submitted in this action, and Plaintiff’s Exhibit 8, the Targeted Market Conduct Examination Report, because they were not before LINA when it made the benefits decision. In OSF Healthcare Sys. v. Sivyer Steel CorporationHealth Care Plan, No. 1:14CV01102, 2015 WL 4778352 (C.D. Ill. Aug. 13, 2015), a matter where Plaintiff sought reimbursement from the defendant Plan for medical services provided to a plan participant, the court granted Plaintiff’s motion for discovery. In this case, Plaintiff argued that the contents of an email demonstrates that the Plan considered impermissible factors when deciding how and to what extent to pay on the claim in question, and they should at least be allowed discovery to explore the issue further. In the email, plan administrators considered whether Plaintiff would actually take the time to “balance bill” the member’s estate in evaluating the claim, but such consideration had nothing to do with making an appropriate determination of what the plan documents required the Plan to pay to OSF; it was an overt reference to paying as little as possible without too many “cons.” The court explained that this conduct is precisely why limited discovery is allowed in cases where a specific instance of misconduct like this can be identified by a plaintiff. As such, the court concluded that Plaintiff is entitled to discovery to explore just how much of a role this issue played in the Plan’s decision to pay what it did. In Farm Bureau Gen. Ins. Co. of Michigan v. Blue Cross Blue Shield of Michigan, No. 1:14-CV-58, 2015 WL 4874611 (W.D. Mich. Aug. 13, 2015), Plaintiff, a no-fault insurer, filed this case seeking coverage/payment from Defendant, an ERISA plan administrator, for services provided by a medical facility to a participant covered by both plans. The court found that this case was not a “priority” dispute because BCBSM concedes that its plan is first in priority. Second, the court found that Plaintiff has not shown a legal or factual basis for an independent action for reimbursement or recoupment. Rather, the court determined that this case, at its core, is a challenge to BCBSM’s denial of benefits under an ERISA welfare benefit plan. As such, Plaintiff is required to exhaust administrative remedies, which it did not do. The court rejected Plaintiff’s argument that exhaustion would be futile. Accordingly, the court dismissed Plaintiff’s Complaint for failing to exhaust the administrative remedies. In SUSAN SALYERS, Plaintiff, v. METROPOLITAN LIFE INSURANCE COMPANY, Defendant., No. CV 14-7490 PA (JCX), 2015 WL 4779243 (C.D. Cal. Aug. 14, 2015), Plaintiff brought suit for payment of supplemental life insurance benefits for her now-deceased spouse in the amount of $250,000. The Plan specified that Evidence of Insurability (statement of health) was required for any insurance over $50,000. The employer deducted premiums from Plaintiff’s paycheck based on the higher level of coverage but the spouse never completed a statement of health. MetLife paid only $30,000 in death benefits and denied Plaintiff’s claim for the $250,000 benefit. The court concluded that because there is no ambiguity in the Plan documents such that reasonable persons could disagree as to their meaning or effect, MetLife is not estopped from asserting the evidence of insurability requirement. Although the court found the collection of premiums in these circumstances was unjust to Plaintiff, absent some additional showing that MetLife acted knowingly and intentionally to allow for coverage regardless of the requirements for evidence of insurability, Plaintiff’s waiver argument must fail. In Dahl v. Aerospace Employees’ Ret. Plan of the Aerospace Corp., No. 1:15CV611 JCC/IDD, 2015 WL 4874706 (E.D. Va. Aug. 13, 2015), Plaintiff, the former spouse of retirement plan participant, brought suit against the retirement plan for survivor benefits to which she was allegedly entitled as a result of a written settlement agreement with the plan participant. The plan participant retired but did not inform Plaintiff. Upon retirement, his current wife became vested in a 50% survivor annuity. Upon learning of the retirement, Plaintiff submitted a QDRO to the Plan. The Plan determined that the QDRO could not operate to assign a survivor annuity to Plaintiff upon the current wife’s vesting. The court agreed. The court explained that to conclude otherwise would undermine ERISA’s preemption of state law by causing a DRO, rather than a QDRO, to have some effect on the alienation of benefits under ERISA-a result that ERISA itself clearly prohibits. The court also found no basis to apply the fraud/breach of trust exception recognized in Yiatchos v. Yiatchos and Free v. Bland to ERISA. In O’Blenis v. Nat’l Elevator Indus. Pension Plan, No. 13-CV-5842 SRC, 2015 WL 4773092 (D.N.J. Aug. 12, 2015), Plaintiff did not contend that he is entitled to additional pension benefits under the terms of the Plan, but rather, that he should receive additional funds due to principles of (1) equitable estoppel and (2) fiduciary duties. The court granted summary judgment to Defendants. 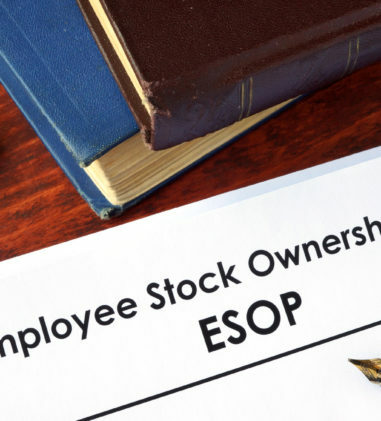 With respect to his equitable estoppel claim, Plaintiff alleged that a union official told him he was entitled to receive his full pension benefits. However, pension calculation sheets accurately stated the amount of Plaintiff’s reduced entitlement and were not misleading. The court rejected Plaintiff’s argument that the SPD and Plan documents could have been clearer, particularly where he did not identify any ambiguity in the documents or contended that he relied on any of them when he decided to begin withdrawing pension benefits. The court also found that Plaintiff could not reasonably rely on misinformation if he received documents that contain accurate, corrective information. Any reliance on the union official’s representation was independently rendered unreasonable by each of the subsequent communications Plaintiff received from the Plan. Lastly, with respect to “extraordinary circumstances,” the court found that the alleged unauthorized estimate by a union official falls far short of the extraordinary circumstances required; the record presents no indicia whatsoever of affirmative fraud, active concealment, or a long-term network of misrepresentations. 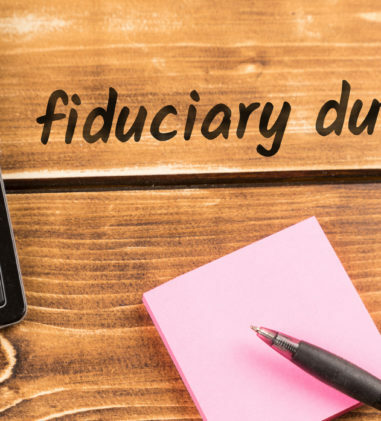 On the breach of fiduciary duty claim, the court found that Plaintiff failed to demonstrate that the union official exercised any discretion over or represented the Plan. Even if Plaintiff satisfied the threshold inquiry, he would also need to demonstrate detrimental reliance, which he did not given the unambiguous and clear calculations from the Plan. In Glass v. BAE Sys., Inc. Unfunded Welfare Ben. Plan, No. CIV. WDQ-14-181, 2015 WL 4878275 (D. Md. Aug. 13, 2015), Plaintiff’s Complaint alleges ERISA §§ 1132(a)(1)(B) and (a)(3) claims based on Defendants improper calculation of her LTD benefit. Defendants moved to dismiss the (a)(3) for being impermissibly duplicative of the (a)(1)(B) claim. Plaintiff agreed that a § 1132(a)(3) claim “would be duplicative and impermissible under controlling case law” but sought leave to amend the complaint to consolidate “the various allegations of impropriety” into a single count under § 1132(a)(1)(B). Finding that there has been no showing of prejudice, bad faith, or futility, the court granted Defendants’ motions to dismiss without prejudice and granted Plaintiff leave to amend. In Cent. States v. Gary Rinker Trucking, Inc., No. 14 CV 7218, 2015 WL 4880909 (N.D. Ill. Aug. 14, 2015), the court granted summary judgment in favor of the Plaintiff Pension Fund on its claim for withdrawal liability. The court awarded the Pension Fund the unpaid contributions, interest thereon, fees, costs, and the greater of an amount equal to the interwar or liquidated damages in the amount of twenty percent of the unpaid amounts. In Mike Avila Tr. v. Bronger Masonry, Inc., No. 1:14-CV-00913-JMS, 2015 WL 4758754 (S.D. Ind. Aug. 12, 2015), Plaintiffs asked the Court to order Masonry to pay the benefits they claim the Funds are due from the date of the requested preliminary injunction forward. The court found that even though Plaintiffs are likely to succeed on the merits, they have not shown that a money judgment in their favor after resolving their claims on the merits would be seriously deficient as a remedy for the harm suffered. The court denied the motion, explaining that the Seventh Circuit has emphasized that a preliminary injunction is an exercise of a very far-reaching power, never to be indulged in except in a case clearly demanding it.